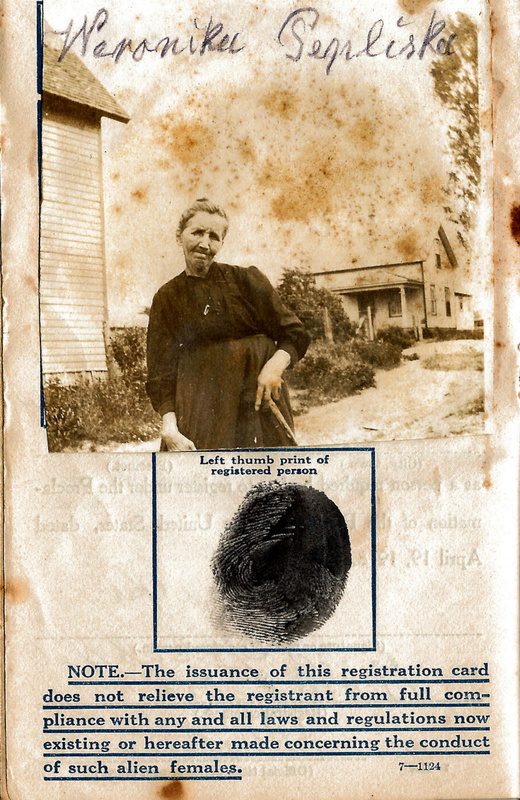 Her name is Veronica Peplinski, she was married to Leon Peplinski and they had 9 children with 8 living in the 1900 census. 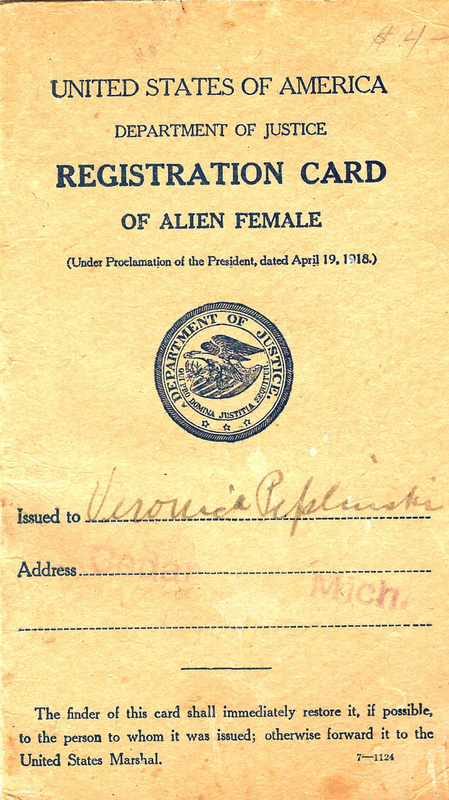 Veronica was born in 1885 in German Poland. She lived in Solon Township, Leelanau, Michigan. Veronica died 5 Dec 1936 in Leelanau Co, MI. A member of our society bought a postcard colection and this document was with the postcard. She thought it might be of value to a family member. I believer one of her sons, Theodore, lived in Bay City, Michigan on the east side and perhaps this document found its way to Bay City thru him. Her father's name was Albert Gerazenski. I have traced her in the 1900, 1920, 1930 census and deaths for Veronica and her husband, Leon. Please contact the society website email address if you have information or interest in the document. 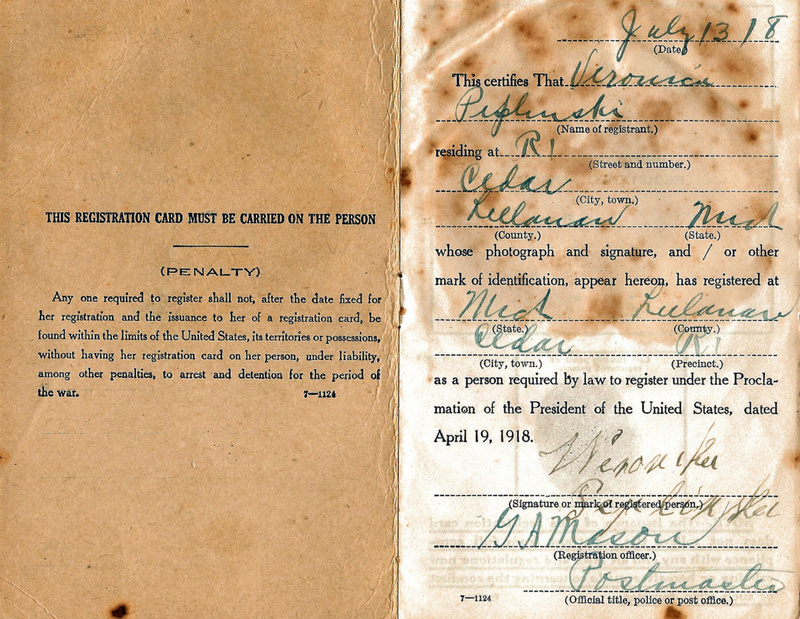 We would like a family member to get this document if they are interested.